The student loan debt clock shown above lists an estimate of total outstanding federal and private student and parent loans. It increases at a rate of about $2,536 per second. The rate of increase is decelerating at a rate of about $71 per second per year. More than 93% of outstanding student loan debt is federal, not private. Private student loans represent only about 7% of outstanding student loan debt. As this chart illustrates, private student loans peaked at nearly 25% of new education loan volume in 2006-2007 and 2007-2008. 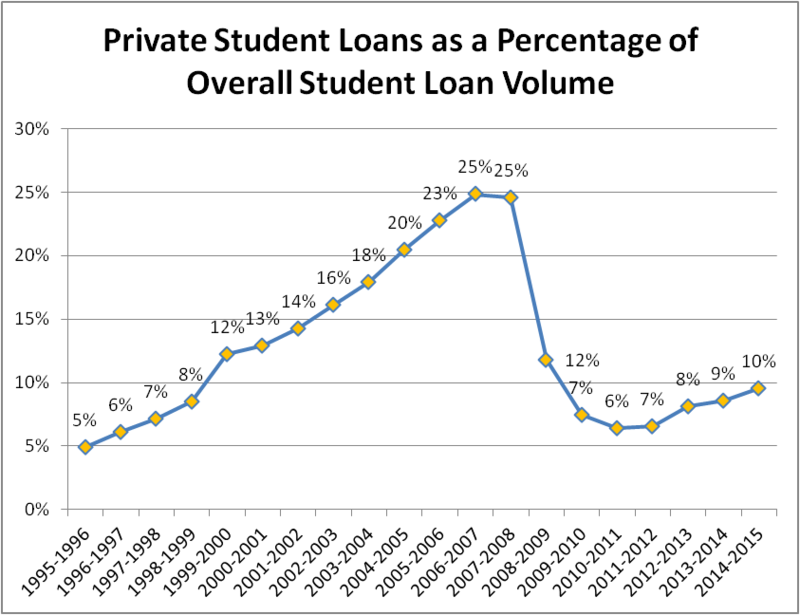 Today, private student loans are only about 10% of new student loan volume. About 6% of undergraduate students (8.9% of undergraduate students in Bachelor's degree programs) and 4% of graduate and professional school students (1.0% of PhD students, 4.7% of law school students, 3.4% of medical school students, 10.9% of dentistry students and 8.0% of pharmacy students) borrow private student loans. Graduate students tend to borrow larger private student loans than undergraduate students. However, about seven-eighths of new private student loans are to undergraduate students and only one-eighth to graduate and professional school students. Undergraduate students at selective colleges and universities are almost twice as likely to borrow private student loans as students at open admission colleges. 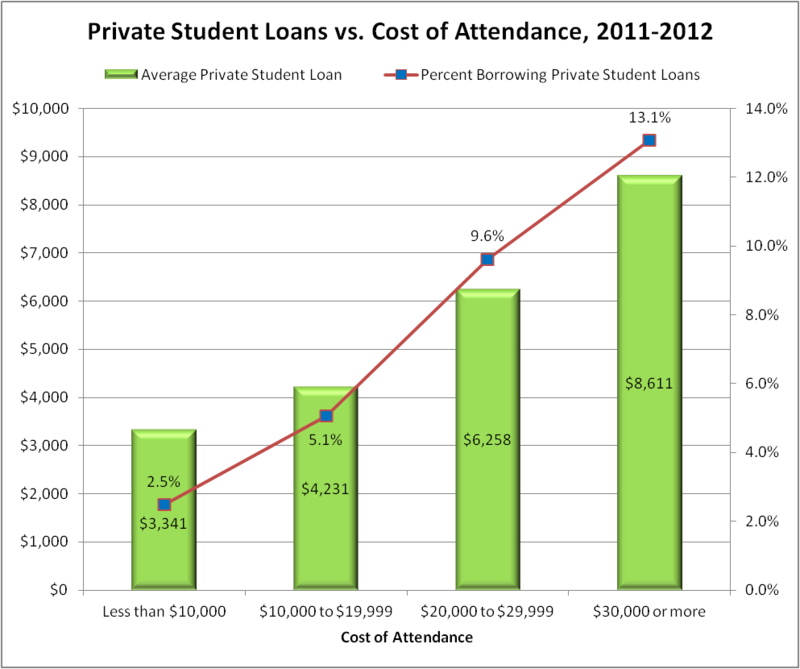 As this chart demonstrates, the percent of students borrowing private student loans and the average private student loan amount increases with the college's cost of attendance.